I’m not sure if it is possible to make a bad surf movie, given the subject matter. By surf movie, I am, of course, not referring to the ones from the 50s intermittently starring Elvis, though they had their charms. Those were beach movies. I’m talking about the genre of rambling surf documentaries initiated by Endless Summer. Among its class, Riding Giants is above average. 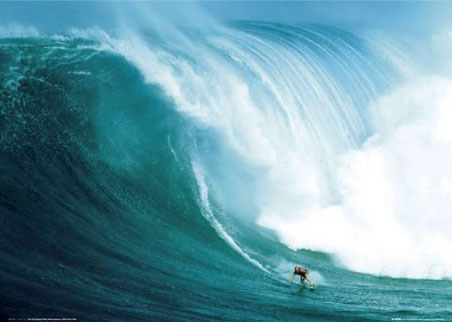 Given the subject matter – monster wave riding – the action is killer. I appreciated it for the well-executed history of surfing through to what the film presents as its natural end: the continued search for a bigger wave. Maybe a bit too much focus on Laird Hamilton, with no disrespect intended to what he’s accomplished.